GOLD FEATHERS. ADVENTURES, INSPIRATION, AND OTHER LOVELY THINGS. 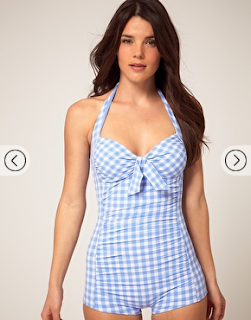 : vintage-inspired one-piece swimsuits. the time of year where i crawl all over the internet to find the perfect new suit. i'm all about the one-piece, but it needs to be stylish of course. 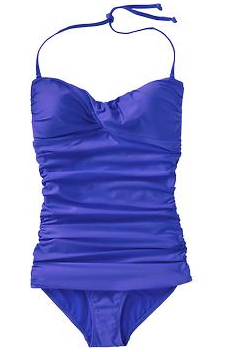 i love vintage-inspired swimsuits, because they seem to cover up all the right places. especially after having a baby! how about some cheaper alternatives? here are some retro suits that won't break the bank. doesn't violet look cute in a bikini? obsessed! I love the floral ones you picked out. And yes, Violet looks adorable in her little two piece. I just want to eat her up! why thank you jacie! a girl can never have enough swimsuits, right? !